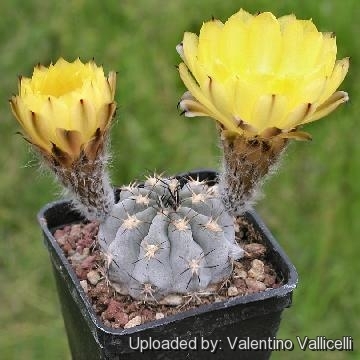 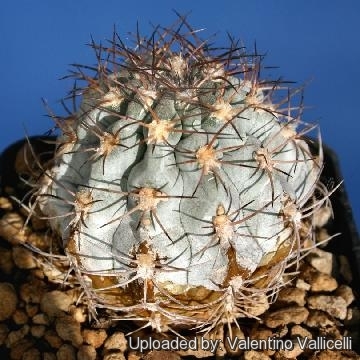 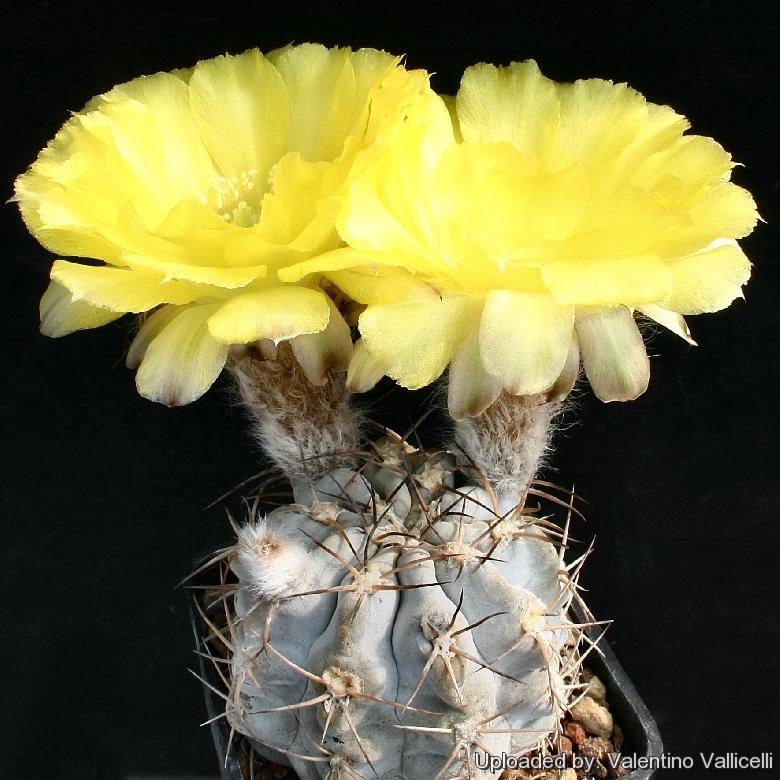 Description: Habit: It is a flat globular to shortly elongated solitary cactus. 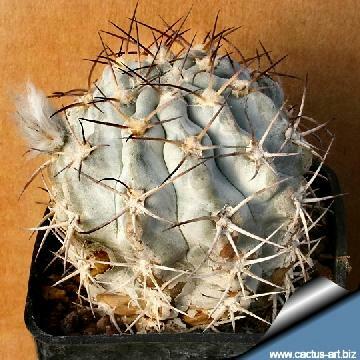 Stem: Up to 15 cm tall, 8 cm in diameter; 8-14 rounded ribs; covered by a protective blue-grey layer of pruina. 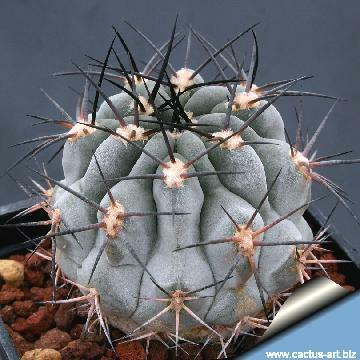 Radial spines: 5 to 10, dark with a clear base up to 2.5 cm long. 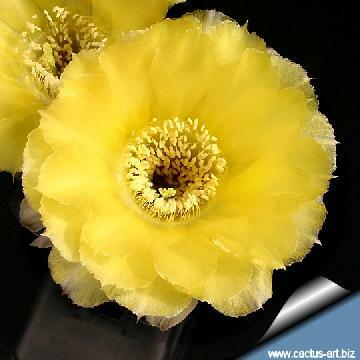 Flower: Yellow or red and yellow flowers in summer, up to 6 cm long and in diameter. 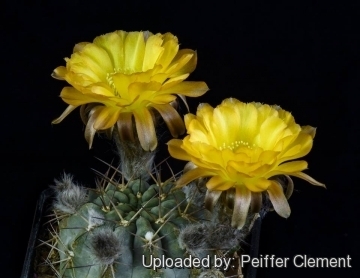 Fruit: Dark green, globose, 2 cm in diameter. 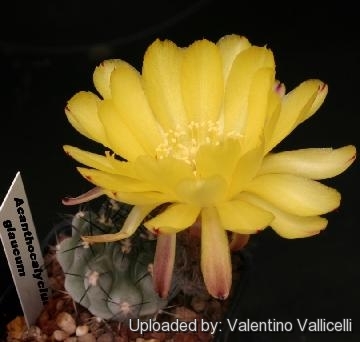 Remarks: The plant described as Acanthocalycium aurantiacum, now included in this taxon has red flowers with orange centres. 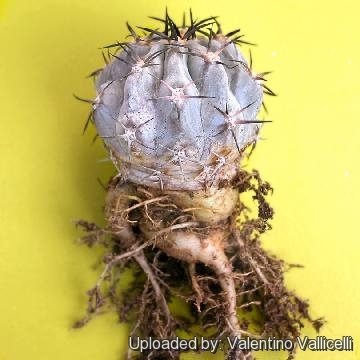 Cultivation and Propagation: Acanthocalycium klimpelianum is an easy to grow succulent, more cold tolerant than most and less fussy regarding soil conditions.